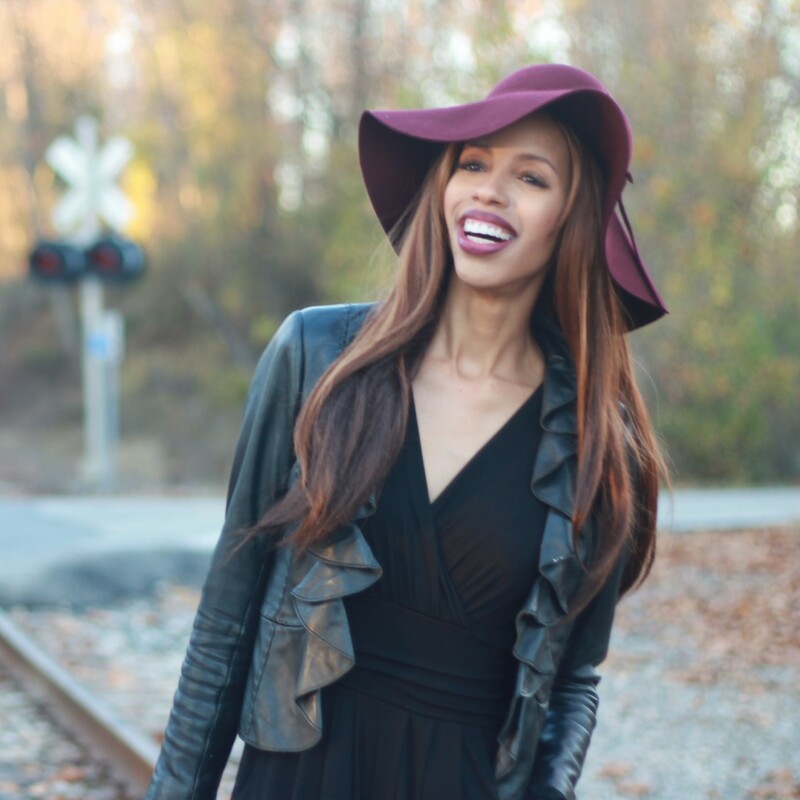 Spring has sprung and my dazzling has begun! Love my new Lucella pumps from ShoeDazzle! 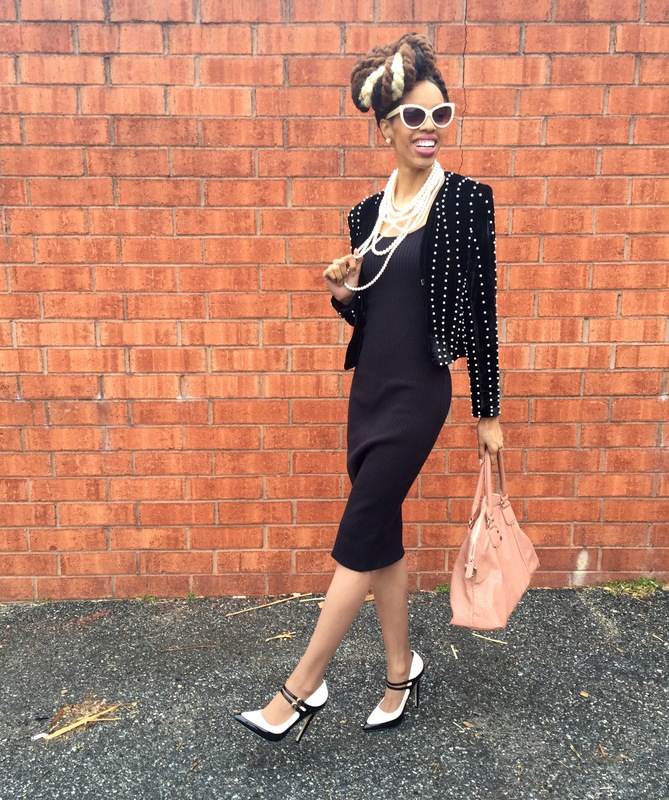 These classic beauties can be styled with a wide variety of ensembles and colors but I decided to wear this classic pump with a classic jewel: pearls. 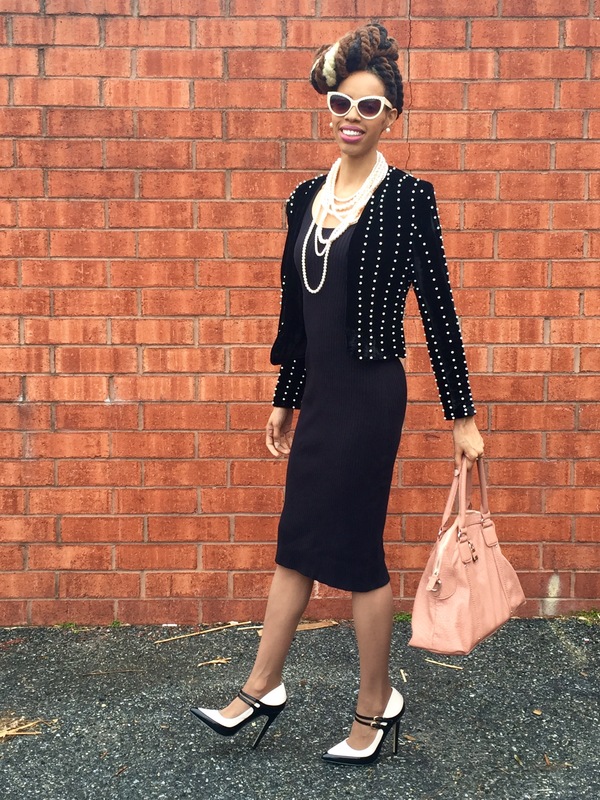 With pearls lining my blazer and neck you can’t go wrong in style! I felt like such a lady and a queen in this. What is your favorite classic look? 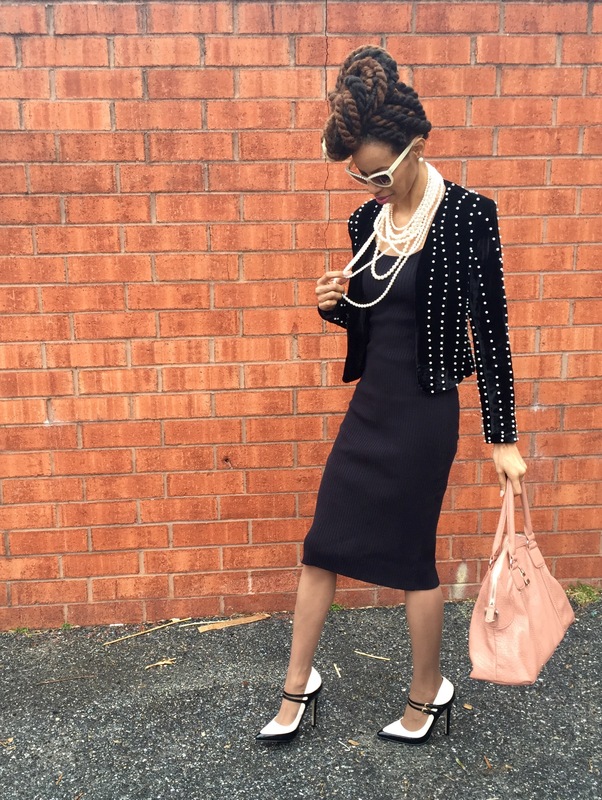 Shoes & Purse: ShoeDazzle. Pearl Blazer: Primrose BoutiQ. Sweater Dress: Victoria’s Secret. Sunnies: Francesca’s. Hair: Zarah Charm. You look stunning girl. Classic and sleek. A Spring perfection. You look gorgeous! I love this whole outfit, it’s perfect especially that jacket it’s stunning!!! Wonderful statement jacket. Rather jealous. 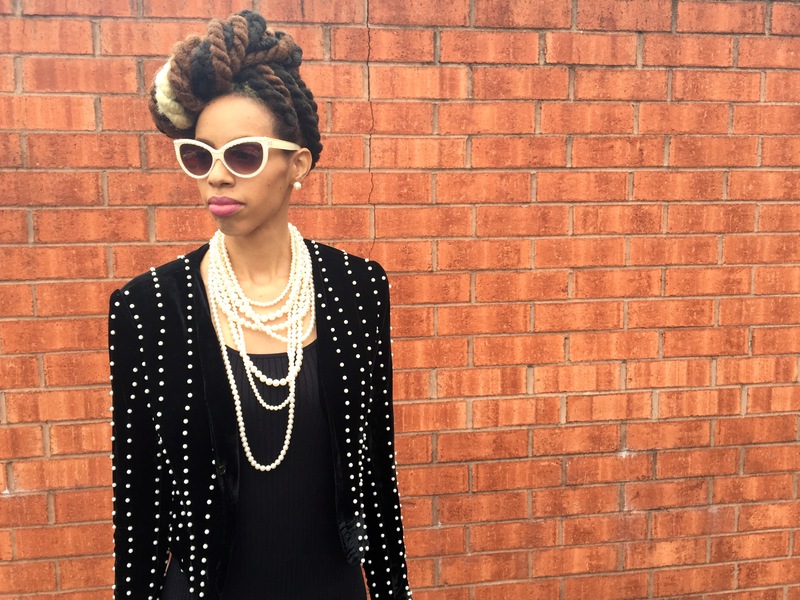 This entry was posted on March 22, 2016 by LaQuisha Hall in All Dressed Up, Brand Ambassador, Dresses, Francesca's, Jazzy Jewelry & Accessories, Natural Hair Flair, OOTD, Shoe Dazzle, Shoe Spotlight and tagged fashion, style.